Every country deserves a great records and archives centre, and Uganda is now finally in that league. Yesterday (September 29, 2016), the National Records Centre and Archives (NRCA), located adjacent to the Ministry of Health Headquarters along Lourdel Road, was officially commissioned by Prime Minister Ruhakana Rugunda. Before completion of the civil works on this building last year and the subsequent transfer of documents into it in November, 2015 national records were kept in the basement of a former Colonial Administration Building in Entebbe, where the National Agricultural Research Organization (NARO) Secretariat currently seats. Long before Uganda got her independence from Britain in 1962, records and archives were already being kept in the Protectorate. The process of keeping national records in Uganda started in 1950 when the Secretariat Archives was established under the Chief Secretary’s Office. These records were kept at the Protectorate Secretariat in Entebbe. Before it became the National Records Centre and Archives (NRCA) that we know today, it was also known as the National Archives of Uganda. At independence, the Archives become Government Archives under the general preview of the Department of Management Information Services, in the Office of the President. With the recommendation of the Public Service Review and Re-organisation Commission Report of 1989/90, the National Records and Archives were transferred from Office of the President to the Ministry of Public, where they are to date. Although construction of the NRCA started in 2013, the idea to build a modern, state-of-the art centre was conceived as far back as the late 1990s, but due to lack of funds nothing was done until the Uganda Public Service Performance Enhancement Project (UPSPEP) came along ”explains Lillian Rose Ariso, Acting Commissioner, Records and Information Management, Task Manager for the Construction of the NRCA. This project supported three areas; construction of Civil Service College Uganda in Jinja, installation and implementation of the Integrated Payroll and Personnel System (IPPS) and the construction of the National Records Centre and Archives. Construction of the Centre started in 2013, and works ended in June 2015 and were executed by CRJE (East Africa) Ltd as Contractors and Mutiso Menezes International as the Supervising Consultants. “Only the first phase of this project was constructed due to inadequate funding. Currently, we have four floors for Records and Archives Block, and then we have a basement as the Administration Block. Otherwise, the entire building is supposed to be seven floors for the Records and Archives Block, five floors for Administration Block and two floors for Cafeteria and Kitchen,” she explains. Catherine Bitarakwate Musingwiire, the Permanent Secretary of the Ministry of Public Service explains why it was just about time Uganda got a deserving National Records Centre and Archives. “It was realized that the former Archives facility we had in Entebbe was inadequate. We stored these documents in a small facility. As Government expands, with more Ministries, more Districts, and as we churn out more records, we needed a bigger facility to keep records,” she explains. The Permanent Secretary further explains that this centre is going to decongest registries of various Ministries. So what kinds of records and archives can one get at the centre? Salome Nyamungu, the Director for Inspection and Quality Assurance at the Ministry of Public Service explains just how resourceful this centre will be. “This centre is Uganda’s inheritance. Ugandan researchers and even the general public can come here and view records from far back as 1900. This centre tells the history of a country. So you can come and view the 1900 Agreement, the various Constitutions we have had among many other important documents. A country without a history is no country. This is our inheritance and we should cherish this as a nation,” she says. 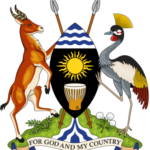 The earliest records in the repository date as far back as 1888 covering the activities of the Imperial British East African Company from 1888 to 1893, the Commissioners of the Protectorate and the Foreign Office from 1894 to 1905 when the first Governor of the Protectorate was appointed can all be accessed at this facility. Adah K. Muwanga, the Director, Human Resource Management was the Accounting Officer for the Ministry at the time of constructing the centre and she learned important lessons during the execution of the project. “As an Accounting Officer, you need to put in place a competent Contract Management Team to implement such a project. We brought on board staff from the Ministries of Works and Transport and Justice and Constitutional Affairs. My staff did a great job too. Much as you have a Contractor, you as Government need to make sure that you are getting value for money,” she says. The Ministry is currently searching for funds to construct Phase II of the building at the same location. This phase will increase on the repositories to ensure that the national documented heritage for cultural research and cultural values is fully acquired. The construction of this phase will also increase on the office accommodation of the NRCA. There are also plans under way to set up a semi-autonomous Agency to handle records and archives management in the country. The Ministry of Public Service would like to urge the researchers, historians, policy makers, students, genealogists and the general public to take advantage of this facility.